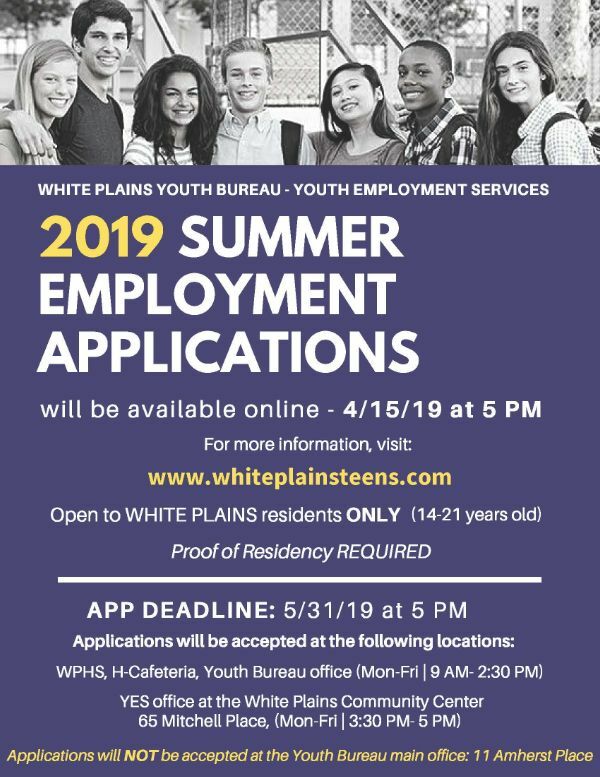 White Plains CitizeNetReporter | In 2018: 1.1 Million Pages Viewed. 117,063 Unique Visitors Make 29,700 Visits a Month. 321 Visits a Day. 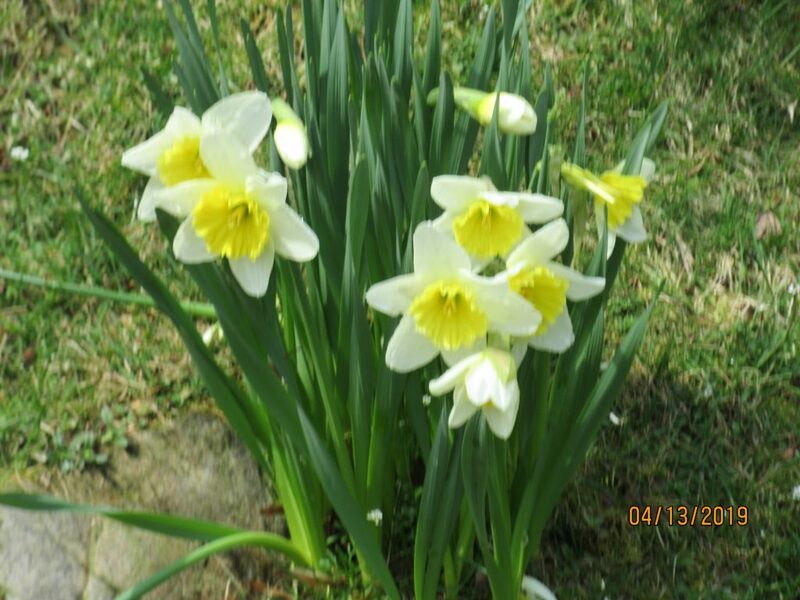 2,028,191 Hits NoBots, The White Plains Daily News Service Since 2000 A.D. John F. Bailey, Editor (914) 997-1607 wpcnr@aol.com Cell: 914-673-4054. News Politics Personalities Neighborhoods Schools Finance Real Estate Commentary Reviews Policy Correspondence Poetry Philosophy Photojournalism Arts. 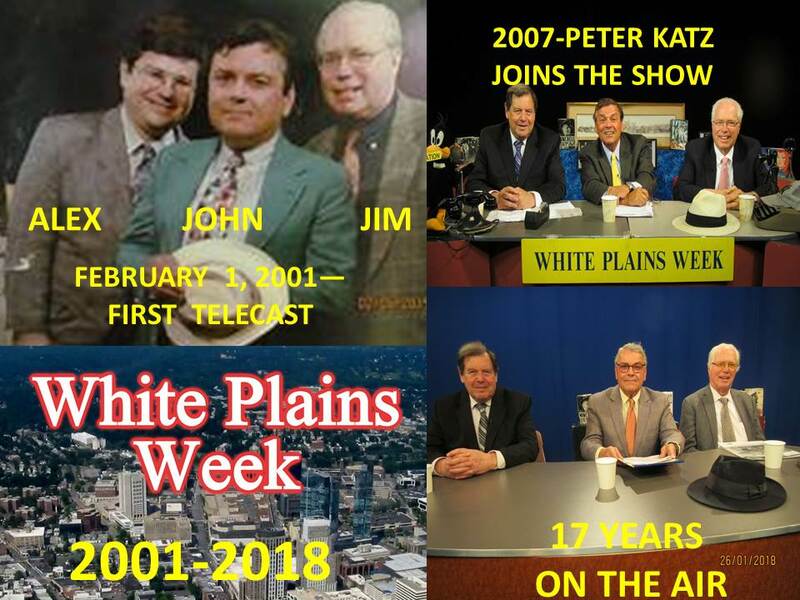 TV: White Plains Week 7:30 FRI, 7 MON & People to Be Heard 8PM THURS, 7 PM SAT on FIOS CH 45, ALTICE CH 76 "Fighting for Truth, Justice and the American Way. EXTRA! EXTRA! 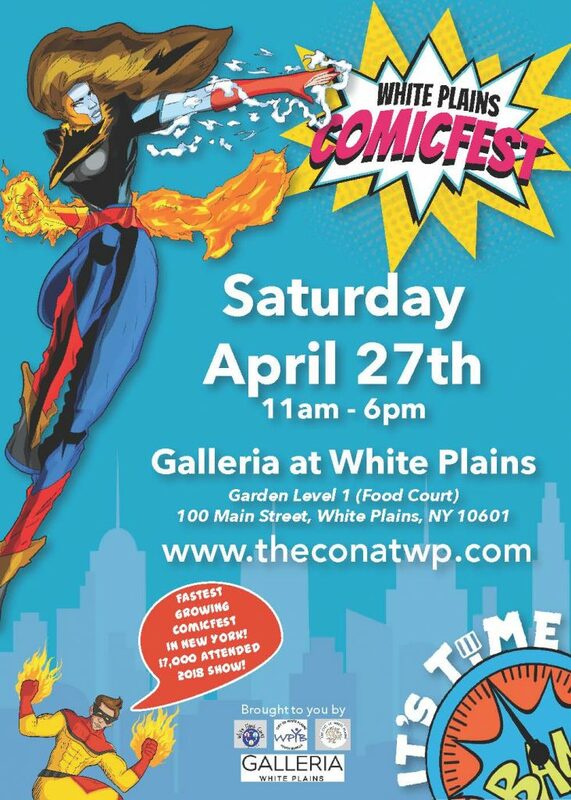 READ ALL ABOUT IT! Five defendants listed below were arraigned late Wednesday afternoon – here are the details from court in addition to the press release below and attached. No photos available. Next court dates and remand status. All were remanded into custody – bail only set for one. Multijurisdictional collaboration continues to bring down opioid dealers in the region. In another focused action to inflict significant damage to narcotics trafficking throughout the region, Westchester County District Attorney Anthony A. Scarpino, Jr. and Village of Port Chester Police Chief Richard Conway announce a series of arrests on indictments of drug dealers operating in and around Port Chester, neighboring Connecticut and the Bronx. Today’s sweep was a culmination of a yearlong investigation stemming from fatal heroin overdoses. 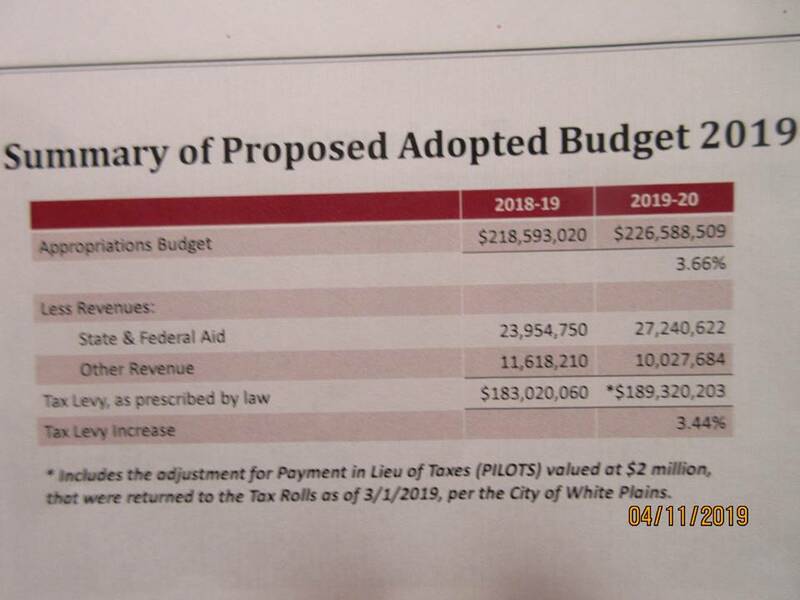 Port Chester Police, in collaboration with Greenwich (Connecticut) Police, began investigating dealers in their communities working across state lines. With the District Attorney’s Office and other law enforcement agencies, the wider investigation showed the dealers also had strong ties to Mount Vernon and the Bronx. The indictments allege all of these defendants sold heroin, often packaged in glassine envelopes (“glassines”) bearing a brand stamp that resembled the New York Yankees logo—with the letters “NY” in the distinctive blue font. The investigation leading to Wednesday’s arrests and indictments was led by the Village of Port Chester Police Department; the Greenwich (Connecticut) Police Department, the Westchester County Department of Public Safety, prosecutors from the District Attorney’s Investigation Division as well as the Office of the New York Attorney General. Five men were taken into custody in early-morning raids (Wednesday) in multiple locations in Port Chester. 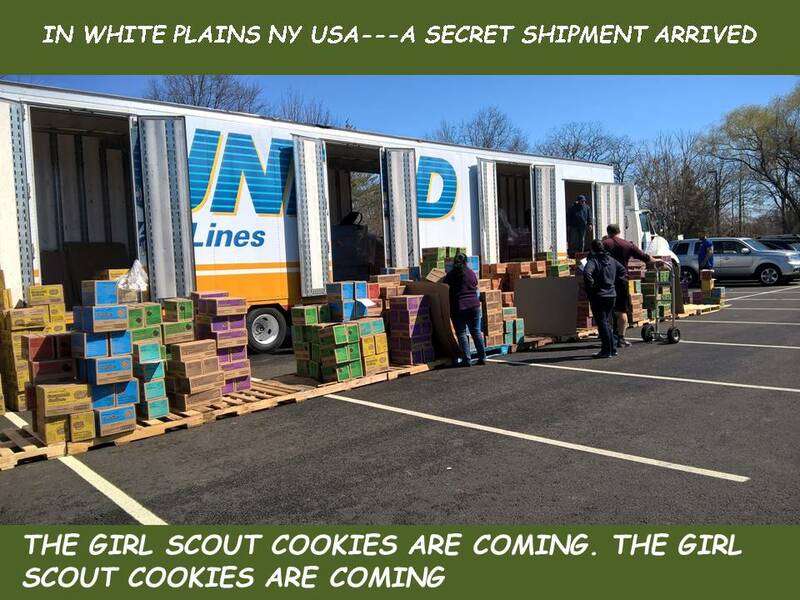 The arrests were conducted by Village of Port Chester Police, Greenwich (Connecticut) Police, Westchester County Police, and District Attorney’s Criminal Investigators with assistance from the New York Organized Crime Drug Enforcement Strike Force. In addition to the Wednesday arrests, this investigation also provided critical evidence which sparked the 68-count indictment of 12 defendants arrested in Mount Vernon and the Bronx last week. The investigation also resulted in the New York Attorney General’s Office arrest of four individuals in the Bronx last week and who were charged in five felony complaints detailing a broad scheme to sell dangerous narcotics throughout Bronx and Westchester counties, including narcotics containing the mock-NY Yankees logo. 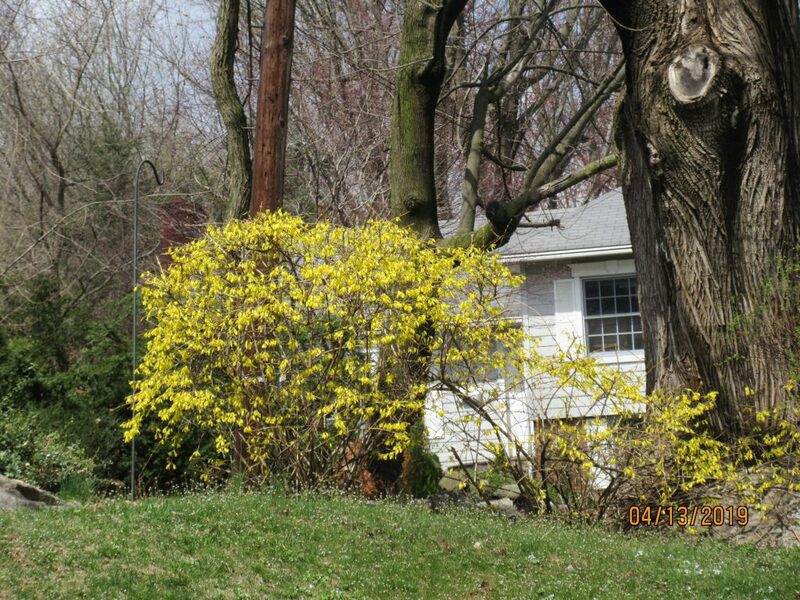 In total six defendants were indicted by a Westchester County Grand Jury. 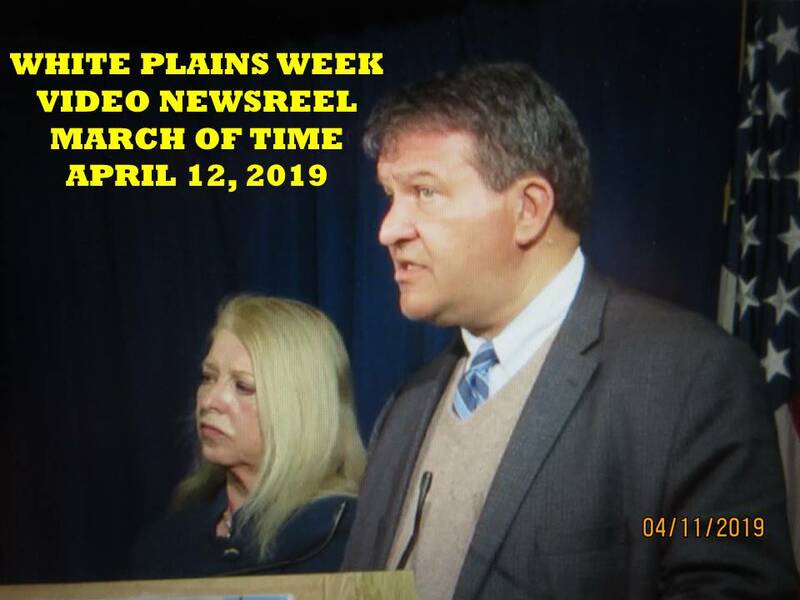 The four separate multicount indictments were unsealed today and five defendants were arraigned in Westchester County Court before Judge George Fufidio. The sixth defendant named in the indictments, Olivera, is being held in Rikers Island, New York City, after his arrest in the Bronx last week. His arraignment on these charges is pending. The defendants were taken into custody t without incident. Along with the arrests, police seized heroin bundles ready to be sold. 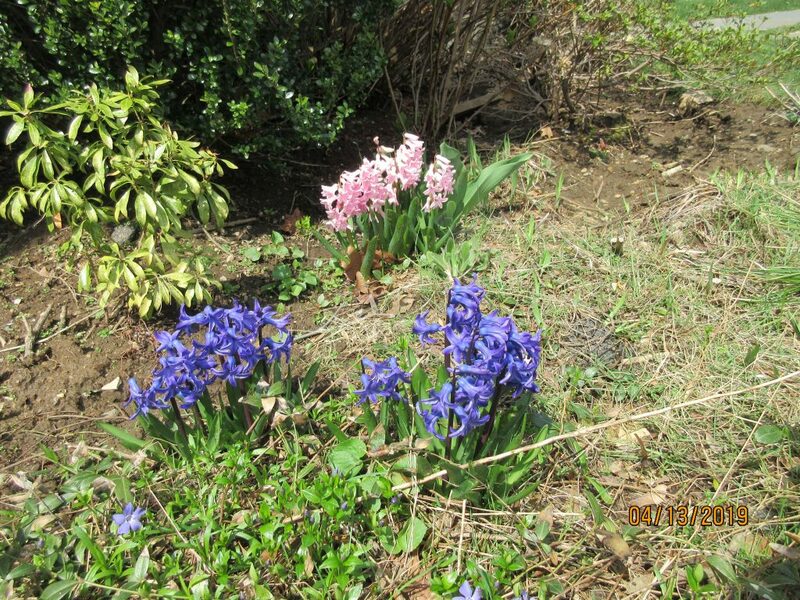 Westchester County’s Earned Sick Leave law, which recently took effect. one hour of sick leave for every thirty hours worked. preventative care for themselves or a family member. 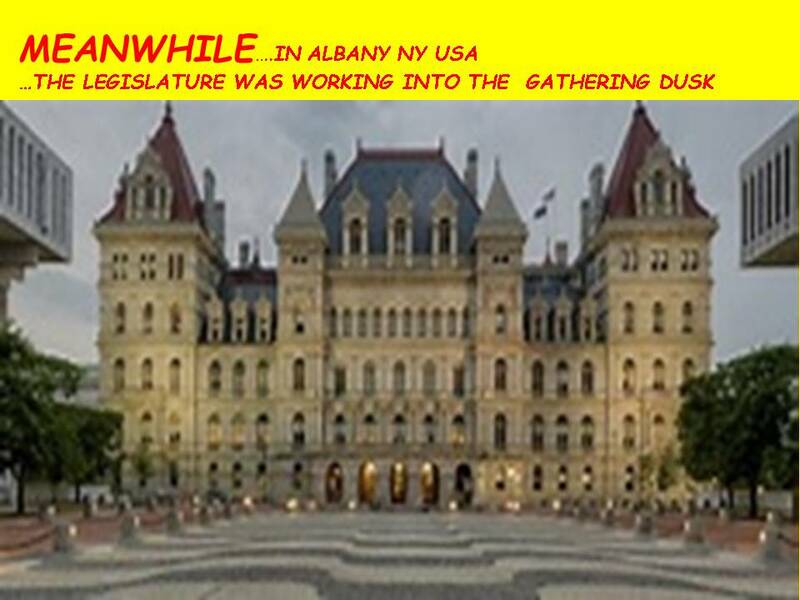 https://humanrights.westchestergov.com/resources/earned-sick-leave-law, or call (914) 995-7710. 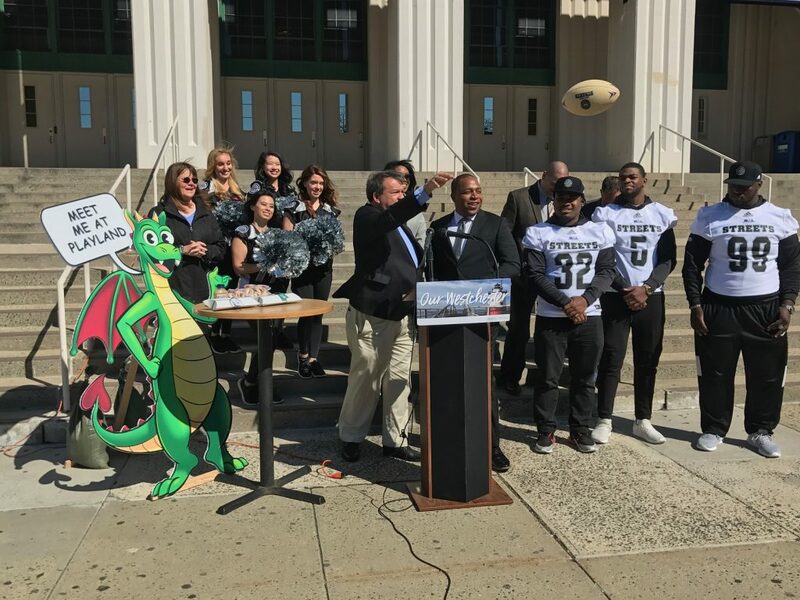 On the steps of Classic Westchester County Center, Westchester County Executive George Latimer welcomed the New York Streets Arena Football team to their new home that has the classical architectural ambience and inspiration as old Soldiers Field in Chicago. Joined by Streets Owners Corey and Tamara Galloway, Head Coach Rick Marsilio, National Arena League Commissioner Chris Siegfried and Streets players and dancers, Latimer gave a true “Westchester Welcome” including hot dogs from Walter’s and tickets to Playland Park to ride the Dragon Coaster. 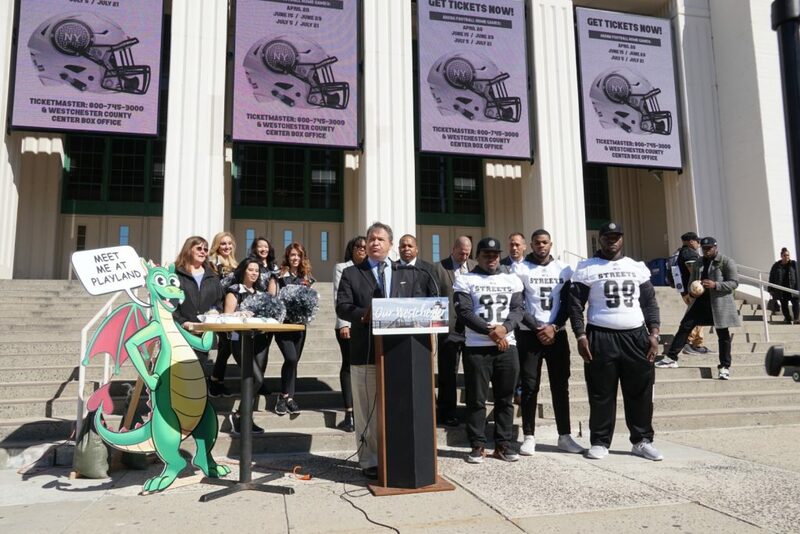 The New York Streets, the National Arena League’s newest franchise is set to begin play at the Westchester County Center on April 20 when they host the Orlando Predators. The Streets, who won their inaugural game Saturday night defeating the Jacksonville Sharks, 52-41, are owned by Corey Galloway and Tamara Galloway, New Rochelle residents. Arena Football has a rich history in the New York/New Jersey area dating back to the New York Knights which played at Madison Square Garden in 1988. New York had been without an Arena Football team since 2008 when the New York Dragons completed an eight-year run at the Nassau Coliseum. Galloway attended many Dragons games as a fan and now has fulfilled a dream. He has brought Arena Football back to New York and now the Streets are ready to hit the gridiron this spring. Arena Football features an eight on eight format played on a 50-yard field surrounded by dasher boards. The Streets are led by veteran Arena Football Head Coach Marsilio and former Syracuse quarterback David Legree. 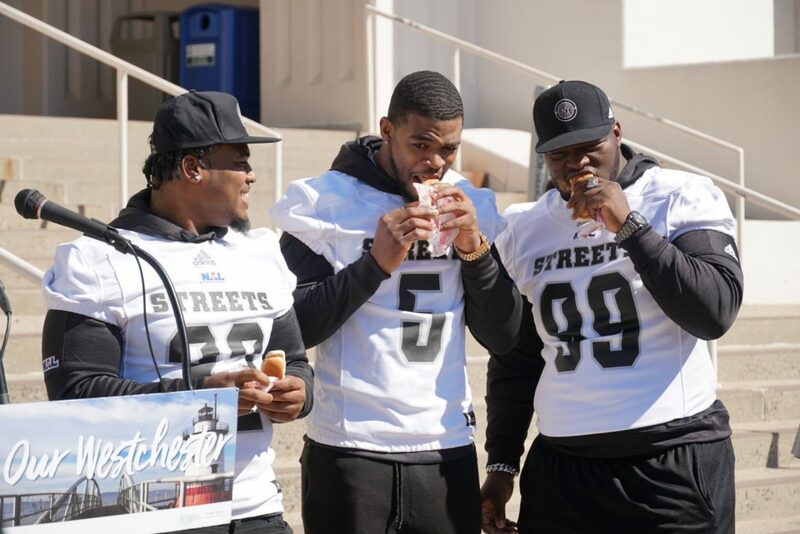 Visit nystreetsfootball.com for the latest news including player signings, merchandise, and promotions as well as details on how you can order season tickets, purchase individual tickets or book your group to come out and see the Streets in action. 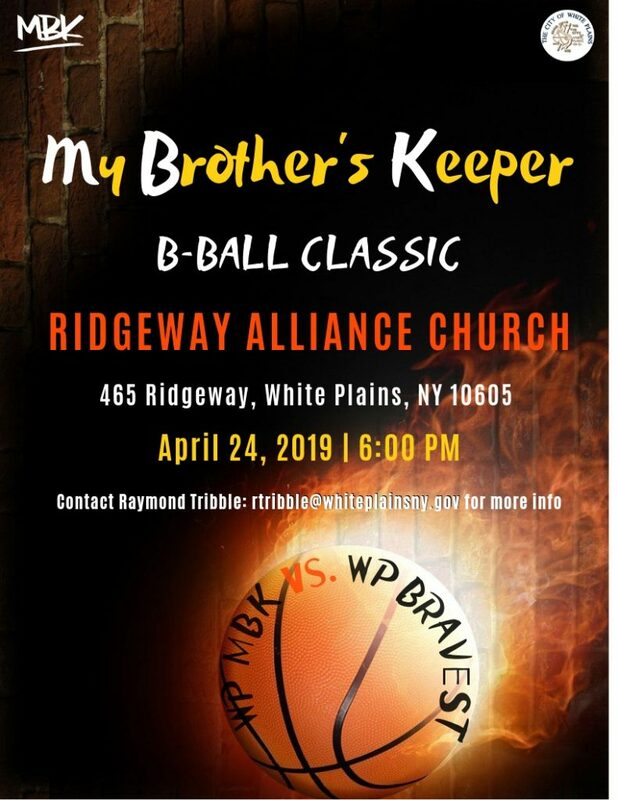 Tickets are also available on Ticketmaster.com. 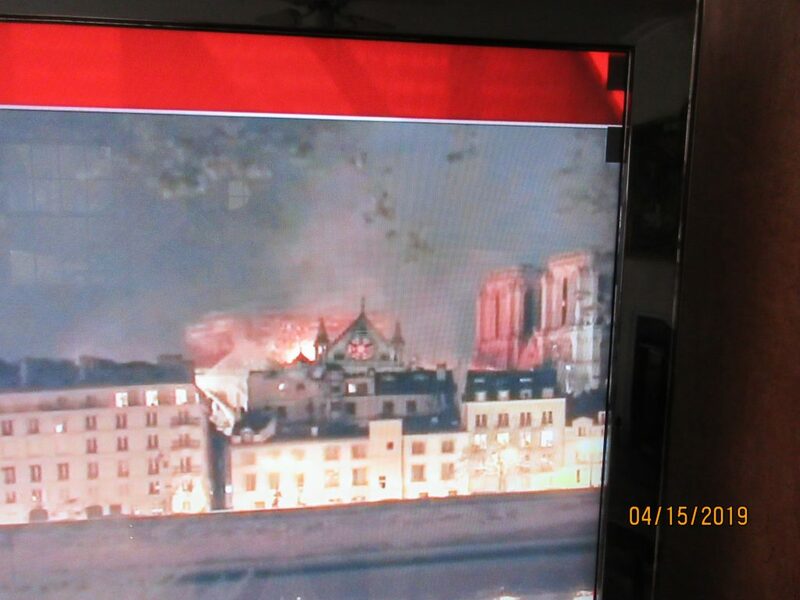 By now you may have heard that a fire broke out in the Cathedral Church of Saint John the Divine yesterday morning, and was discovered between the 9:00 and 11:00 Palm Sunday services. 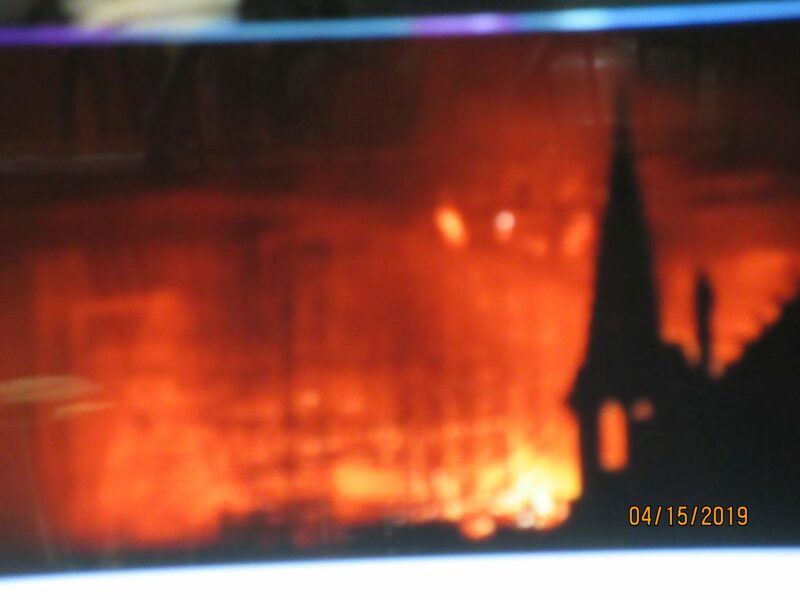 The fire was located in a closed room in the undercroft of the cathedral, and is at this time still of unknown cause. 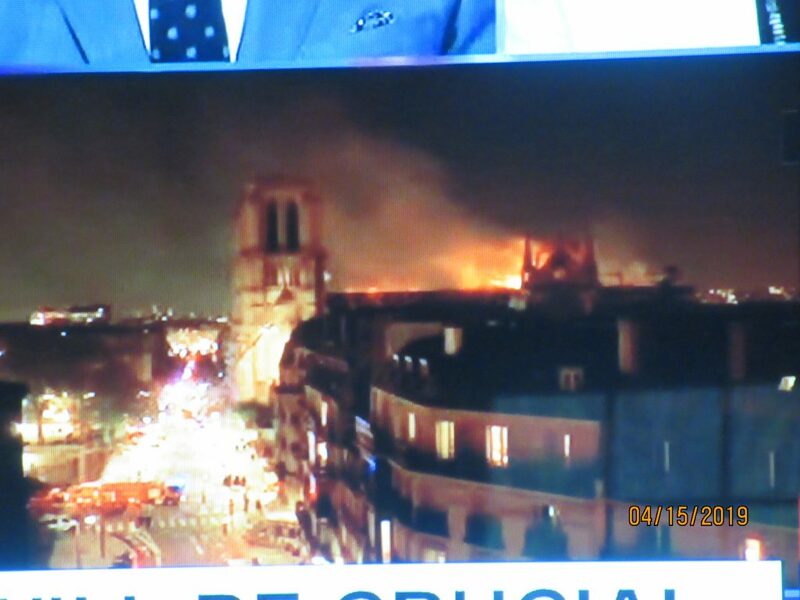 It seems clear that it was not electrical and there are no indications of arson. 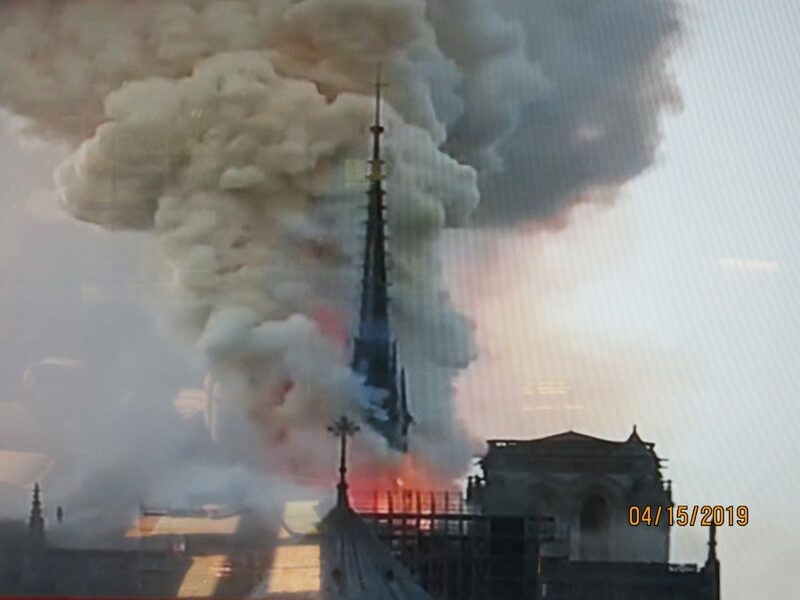 The fire was quickly contained and extinguished, damage was relatively minor, and over the course of the day large fans and open doors cleared the cathedral itself of the lingering smoke. With an extraordinary display of organization, in a matter of only fifteen minutes an altar and cross were set up on the pulpit green, hundreds of chairs were set up, a sound system was produced, vestments and eucharistic vessels and bread and wine were gathered, and with the full choir and the sung Passion Gospel and the sound of firefighters in the background we held the Palm Sunday service outside on the lawn. Maybe sometimes your house has to catch on fire to show what matters and what doesn’t, and yesterday taught us many things. Dean Daniel has concluded that tomorrow’s liturgy for the clergy renewal of ordination vows will take place in the cathedral as planned, and there will be no obstacle to the Triduum and Easter services taking place at our altar later this week. Dawn in the North Atlantic 107 Years Ago Today. A morning to remember. Photographs (insets)Lifeboats from the RMS Titanic approaching the Carpathia early this morning, 107 years ago. The Titanic sank at 2:20 A.M. after colliding with an iceberg at approximately 11:40 P.M. Sunday evening, April 14, 1912. Titanic Quartermaster Robert Hichens stands in the stern at the lifeboat tiller on approach to the Carpathia. 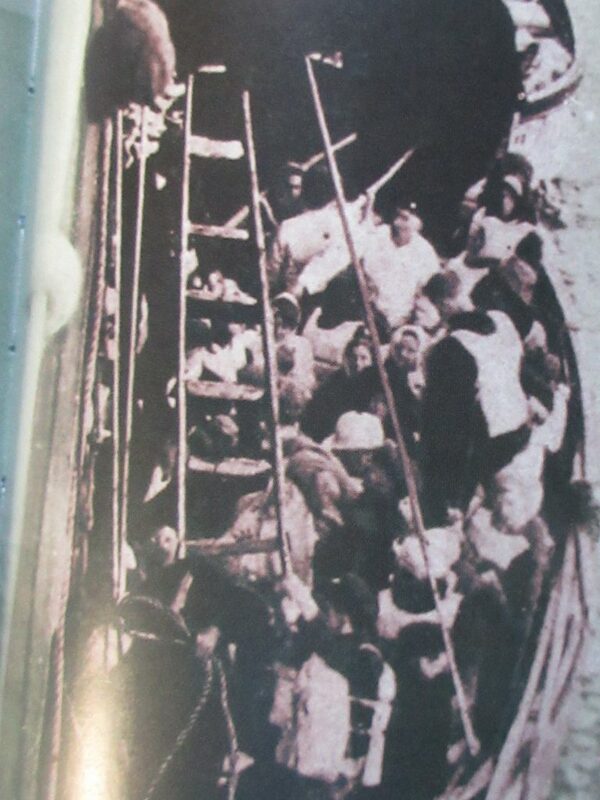 Lifeboat drawing up alongside Carpathia filled with passengers rescued from the doomed oceanliner. 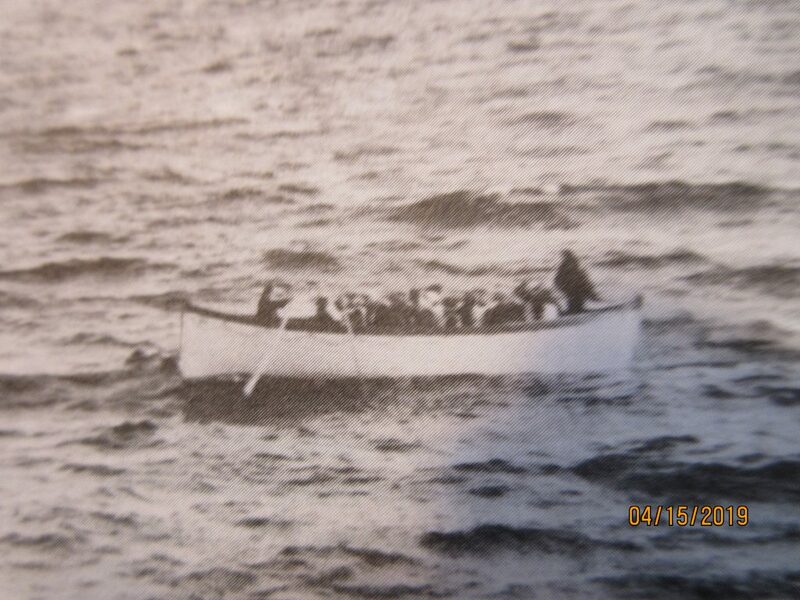 A Titanic Lifeboat filled with freezing survivors of the sinking, being raised aboard up the sides of the Carpathia, this morning 107 years ago. Empty lifeboats in New York delivered by the Carpathia at Pier 54 in Manhattan on April 18. 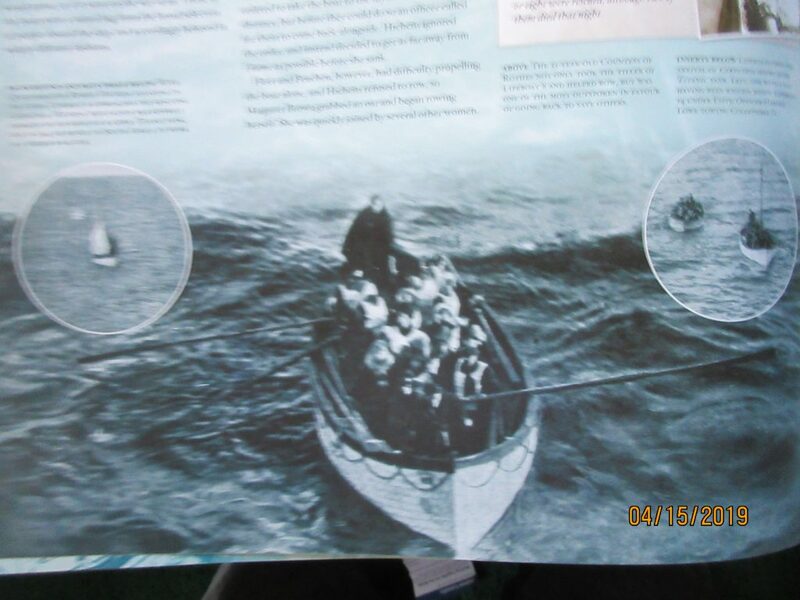 At dawn this morning , in 1912, the Carpathia after steaming through an ice field 6o miles in 3-1/2 bours at 18 knots, to reach the foundering Titanic, rescued 703 persons from lifeboats. 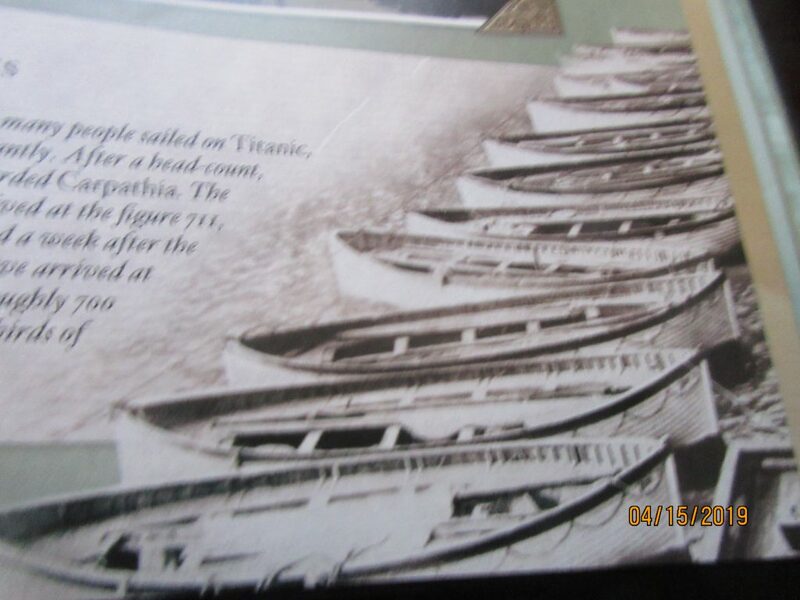 Many of the lifeboats were not filled to capacity, due to crew ineptness and lack of lifeboat drills on board, (since the Titanic was pronounced unsinkable). 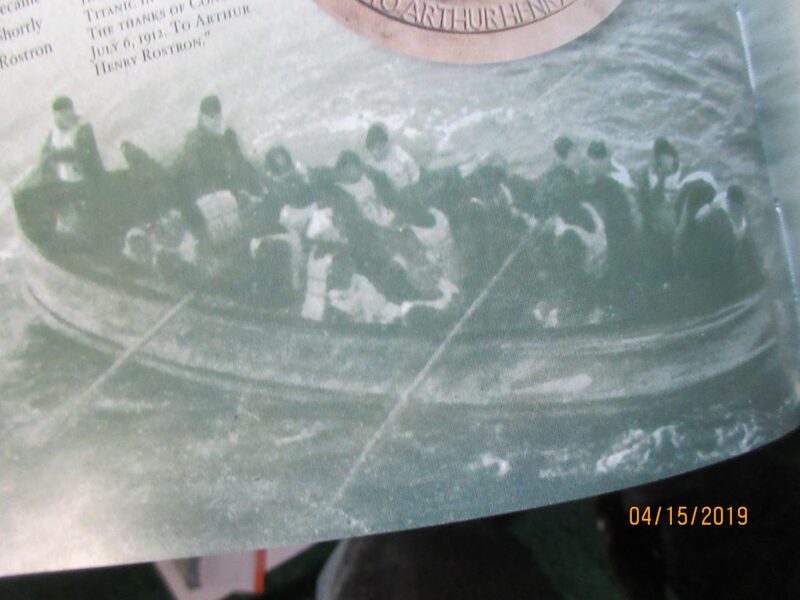 The 20 lifeboats has a capacity of passengers of 1,178, (65 per boat), while the Titanic (irresponsibly I might add) had 2,200 passengers and crew on board, Two thirds of the pasengers and crew perished. IT’S HOT CROSS BUNS TIME. ONE A PENNY TWO A PENNY….HOT CROSS BUNS! HOT CROSS BUNS! 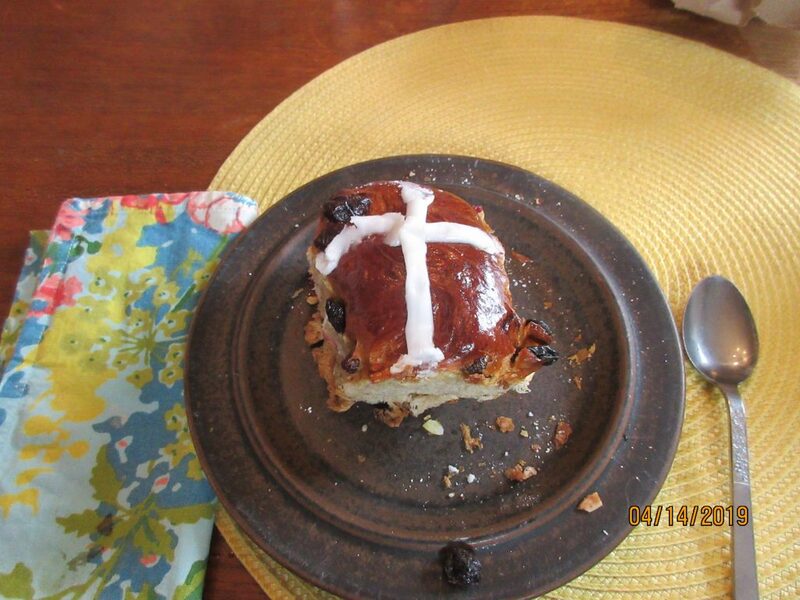 A Hot Cross Bun from The Kneaded Bread this morning in Port Chester New York USA. Crisp topping, moist inside plenty of fruit inside and delicious white frosted cross. The breakfast of the season on Palm Sunday.